Dossier, by Interfolio, is an online platform for faculty to collect, categorize, manage, and store scholarly materials in a secure, centralized place accessible only by you. Dossier may be integrated with your institution's new electronic case and committee review system, Review, Promotion & Tenure. This integration allows faculty to move selected materials easily from your private Dossier into your electronic file. Soon, Faculty180 Users will have access to a Dossier to be able to store their information and connect to Review, Promotion, & Tenure. Allowing for institutions to track faculty work within Faculty180 and take advantage of the advantageous presentation and processes of Review, Promotion, and Tenure. How do I access my Dossier? There are multiple ways to access Interfolio Dossier, depending on your institution's set-up or your account status. Expand one of the links below to find the relevant guide. 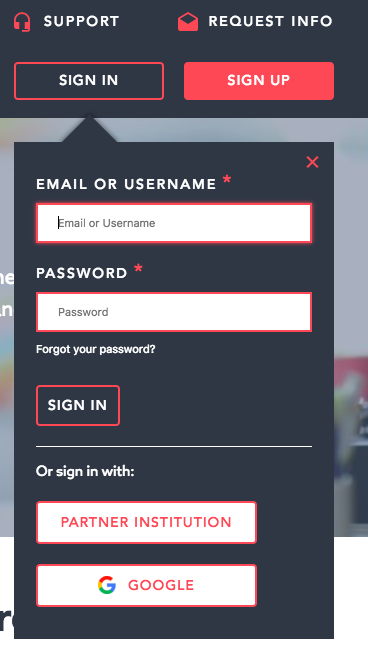 Login with your institutional credentials via Single Sign-On. How do I upload materials? 2. Click Add Files to upload one or multiple documents from yourcomputer to the All Materials section of your Dossier via the drag and drop or browse to upload functions. For each file, select a description of the material from the dropdown (i.e., C.V., Student Evaluations) and click Add. If no accurate description exists for the file, select "Other Document". The file name can also be edited at this time. To add links to videos, presentations, and websites to your Dossier, navigate to the Video or Webpage tab, enter the URL with a description, and click Add. 4. Your uploaded materials will now appear in the All Materials section of your Dossier. This feature has not yet been released. This is expected to be available to Faculty180 users in March 2018. Faculty users in Faculty180 that have a Dossier institution account are able to export their CV directly to their personal Dossier for personal record keeping purposes and future storage. Simply click on the Export/Share button and select "My Interfolio Dossier", to send the document to your personal Dossier as a PDF. How do I organize my Dossier? 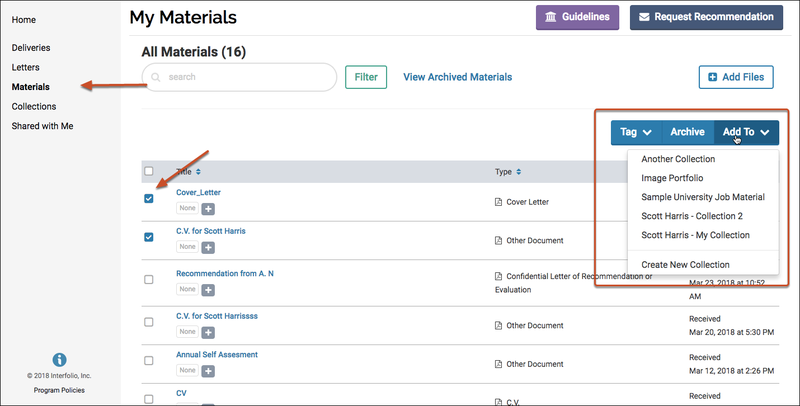 Related materials can be organized into folders or collections that will be useful when compiling various types of documents and evidence for an upcoming Faculty Review cycle. To start, we recommend you create the following some basic collections to assist you with organizing your materials in preparation for your review. From here, you can create custom collections specific to your professional needs. Here is a guide to learn more about managing your Dossier. How do I create a collection of individual materials? 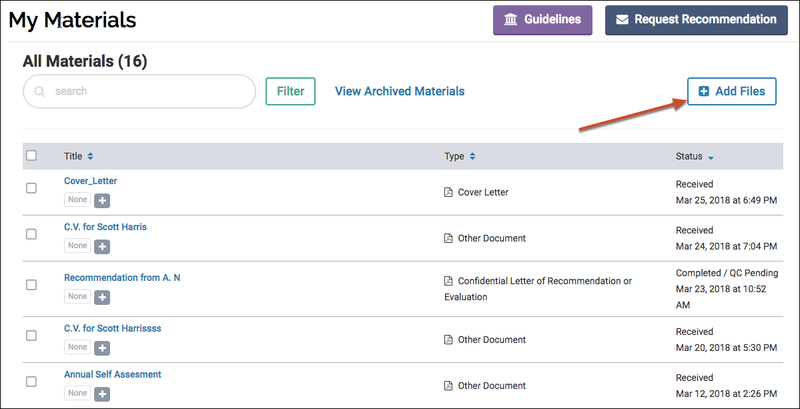 To move uploaded materials from the All Materials section into a Collection, navigate to the All Materials section, select the checkbox(es) on the item(s), click Add To, and select from the dropdown the Collection to which the materials should be added. Materials can also be uploaded directly to a Collection by selecting the Collection at the time of upload. 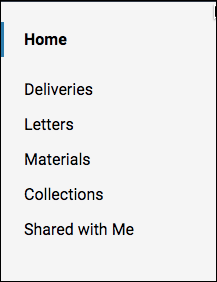 Materials uploaded directly to a Collection will also appear in the All Materials section. Here is a guide with more information on creating a collection. How do I share and receive feedback materials or collections? Client institutions with Dossier Institutions, provides accounts to it's faculty members to keep track of their documents, and if necessary prepare for any reviews at the institution. Here is more information on how to share documents and receive feedback. A direct link to Dossiers Quick Start Guide is located under the Dossier section of your Interfolio Dashboard.